Mortarion, Lord of the Death Guard, is the greatest Daemon Prince of Nurgle. Being so, he deserves an adequate miniature. Or should we rather call this specimen a model, because there is nothing mini about this. An intimidating monstrosity with huge wings and limitless baroque details. 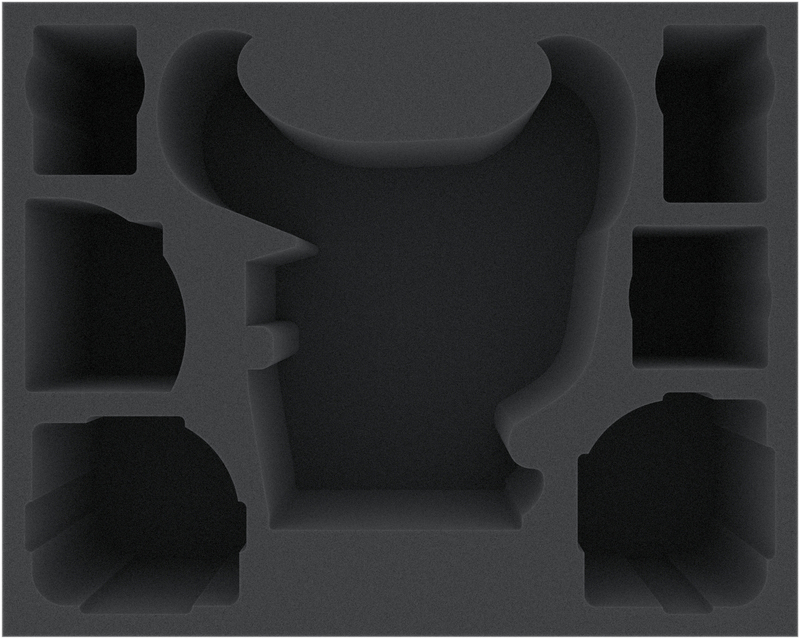 In order to keep these massive wings, the scythe and Nurgling Drones intact, we designed this Full-Size foam tray for you. 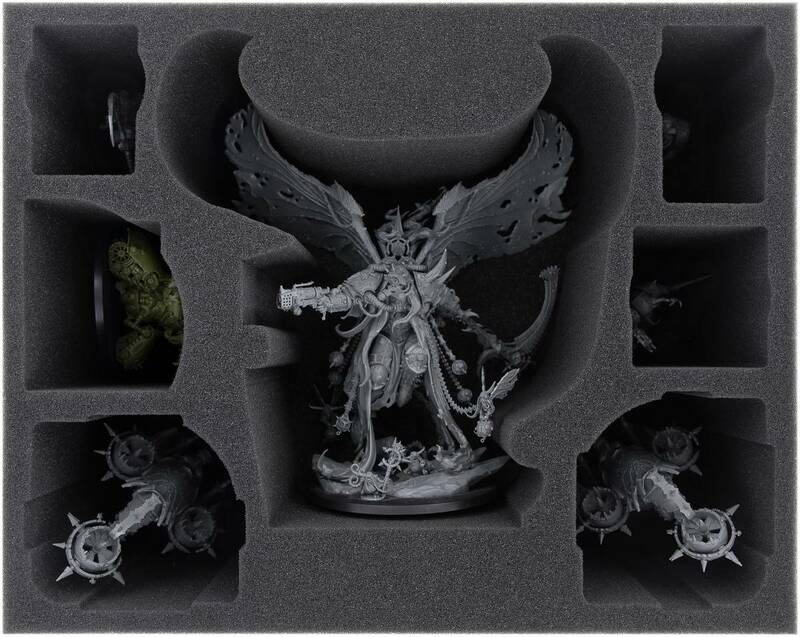 With a compartment tailored exactly to Mortarion, it offers optimum protection for this masterly Games Workshop model. Beneath the Daemon Primarch are two compartments in which 2 Foetid Bloat-drones can be placed. The demon engine Myphitic Blight-hauler also gets some space on this mat, so that multimelter and rocket launchers will henceforth provide fire support for the Death Guard. Storing the figures in separate, tailor-made compartments not only protects the sensitive parts, it also prevents the models from slipping and colliding during transport. This might cause the colors to flake off, which can be very annoying especially with these models, which require a lot of time and effort for painting. 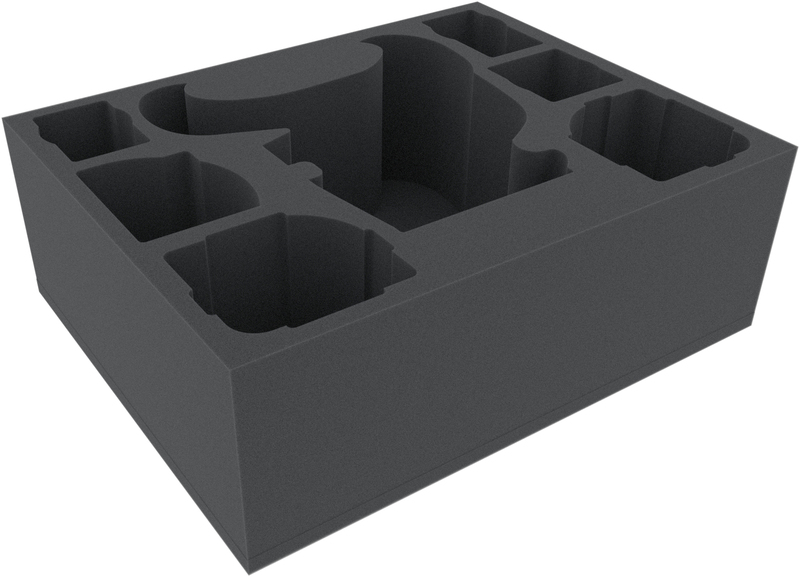 3 rectangular compartments can be filled with figures of your choice. They are best suited for three Bodyguards from the Deathshroud.